Do you have house plans? Estimate includes full supply and installation, warranties, and after sales support. Is this a Standard Install? A standard back to back installation is classified as being an installation that takes place on a ground floor brick and tile home. 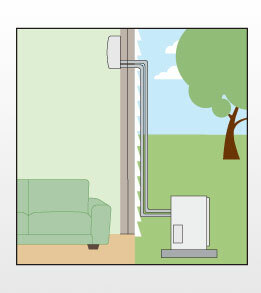 The indoor unit is installed inside on an external wall and the outdoor compressor unit is installed directly behind, on the same wall, outside. If your installation is not standard then additional charges will apply. Would you like to book an appointment with Dwayne?